He also urges the authorities to tackle the problem of "evergreening patents". This was an opinion Dmytro Shymkiv, the chairman of the Executive Board of the managing company of the PrJSC Pharmaceutical firm Darnitsa, expressed during his speech on the Ukrainian Pharmaceutical Congress 2019 in Kyiv. "When we talk about the health care reform, we want to hear how the Ukrainian pharma can join the reforming process. We can help!" he said. "Let’s see where we are buying the majority of oncology agents – we are buying them abroad, from an international pharma. Why shouldn’t we raise a question about the strategic project? Offer the Ukrainian and international pharma to locate their production here, in Ukraine," Shymkiv said as the example. According to him, the state must also solve the problem of the "evergreening patents" - when the companies artificially delay the terms of patens on their pharmaceutical agents, and by that deprive the Ukrainian pharma of an opportunity to produce generics – authorized copies of those pharmaceutical agents. "To keep their monopoly on the market, patent owners play a dirty game of baring other producers from developing similar agents," Shymkiv explained, pointing out that Ukrainian generics help the patients to decrease the medical treatment spending significantly. "Nowadays a producer can be represented by several pharmaceutical agents in one segment. The state doesn’t regulate this situation by no means, and the operators of the market find it hard to work in such circumstances," Shymkiv explained. "Several companies sign an agreement on their obligations concerning the production of certain type products. Therefore, the state provides regulation and controls the prices," he said. 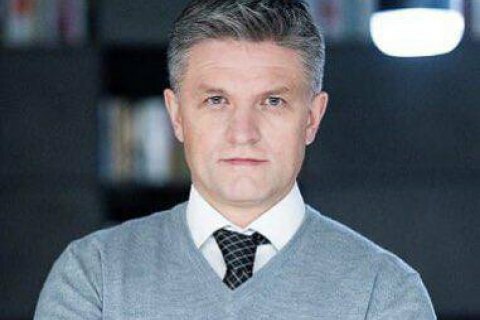 Dmytro Shymkiv took up his position in Darnitsa in September last year. From 2014 to 2018 he worked as a deputy head of the Presidential Administration of Ukraine, before that he headed the Ukrainian branch of Microsoft Corporation. PrJSC Pharmaceutical firm Darnitsa was founded in 1930. It is Ukraine’s leader of pharmaceuticals production in volume terms. The company’s portfolio includes some 250 names of medical agents. In 2018, Darnitsa increased its net profit by 31.3 percent, to UAH 449.134m.